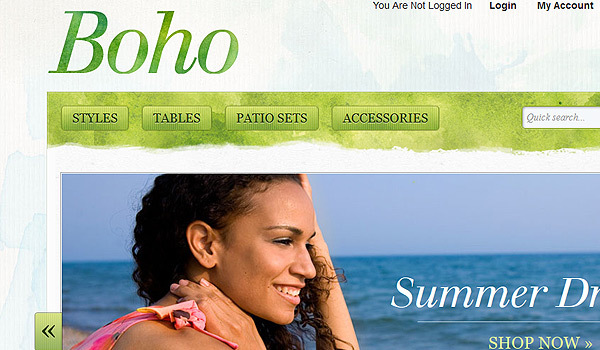 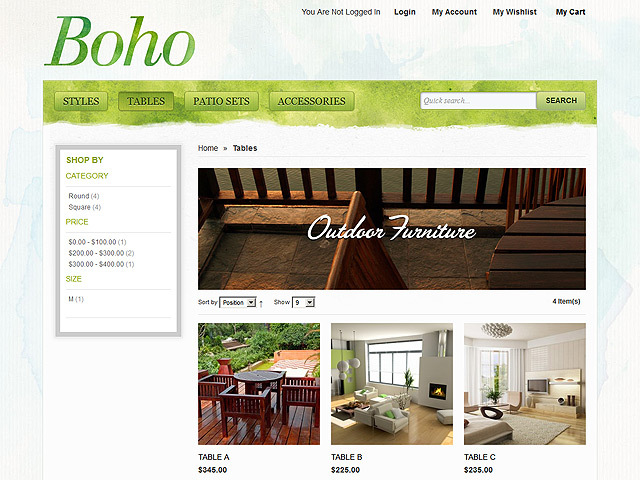 To do that Boho Deux magento template has a jQuery slider with two types of controllers, which provides invaluable help when presenting your chic product pictures and photographs; to add, the homepage incorporates other essential zones ranging from featured products zone, bestselling goods area, special sales, discounts and promotions, even a newsletter sign-up zone so that you can keep your clients informed about the latest news and launching dates of brand-new products or services. Additionally, we should not forget to mention the four different colour schemes offered by the template, which add up to the bohemian style of your site as a whole; you may choose among some trendy-looking mixtures of different shades of green-grayish, orange, blue and light bluish – again no ordinary options but such that possess the stylish and at the same time folksy charm of a bohemian rhapsody of colours. 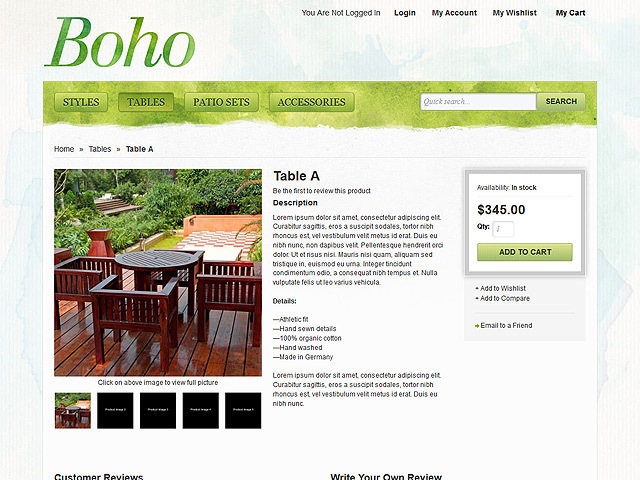 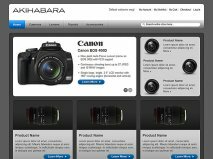 Furthermore the template possesses all the pages that you may need when launching an e-commerce site; your online shop starts with a homepage followed by a product listing page, which showcases all of your goods and services on offer, then comes the product page, which describes and presents your goods, the register and sign-in page is the place where your customers create their personal accounts and later view and change them in My account pages; the Shopping cart page shows your clients the goods they are about to buy and the General content page describes your online shop as a whole. 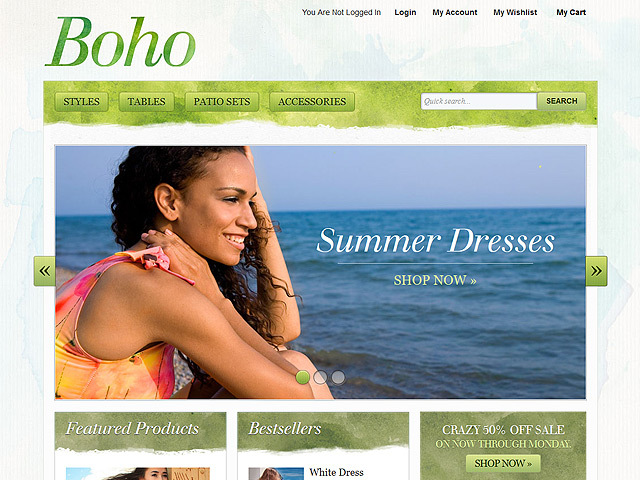 Last but not least Boho Deux theme empowers you to use its stylish header and footer, as well as detailed documentation with screenshots; all of the above features turn the template into irreplaceable partner for designing your e-commerce site.